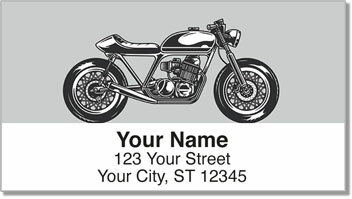 There's nothing like the feel of wind rushing through your hair as you cruise the open road on your motorcycle. 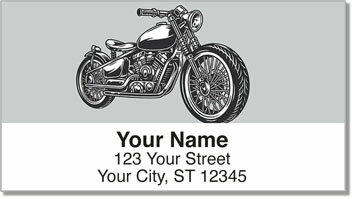 We assume that's the reason why so many bikers ride without helmets in states where it's legal to do so. 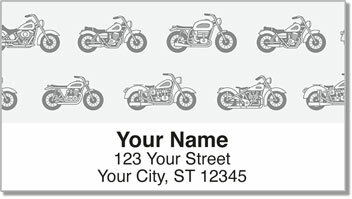 While we're not taking sides in that decades-long debate, we mention it because we understand that bikers like you aren't afraid to throw caution to the wind. We know that half the allure of two-wheeled touring is being out there, just you and your bike against the elements! 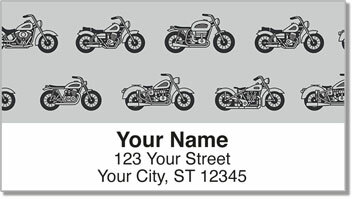 Introducing Motorcycle Address Labels and matching Motorcycle Personal Checks, available exclusively from CheckAdvantage. They'll remind you of the thrill of the ride. Order yours today!